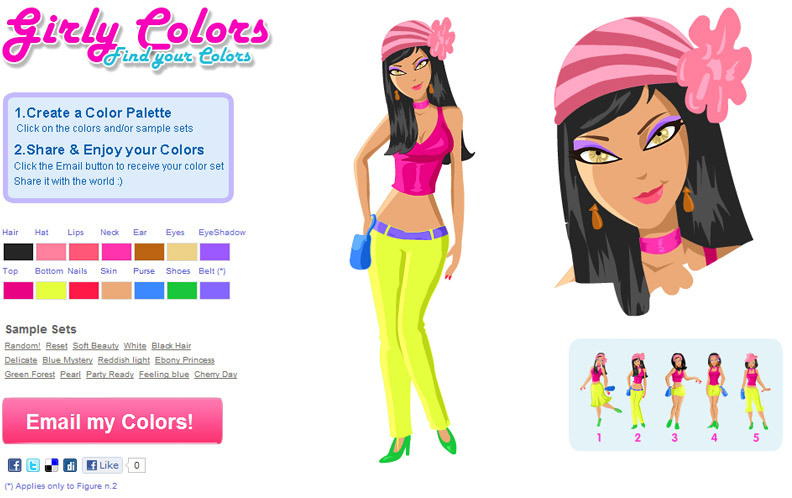 Girly Colors | Virtual clothing design and coloring, enjoy playing with colors! What do I wear today? 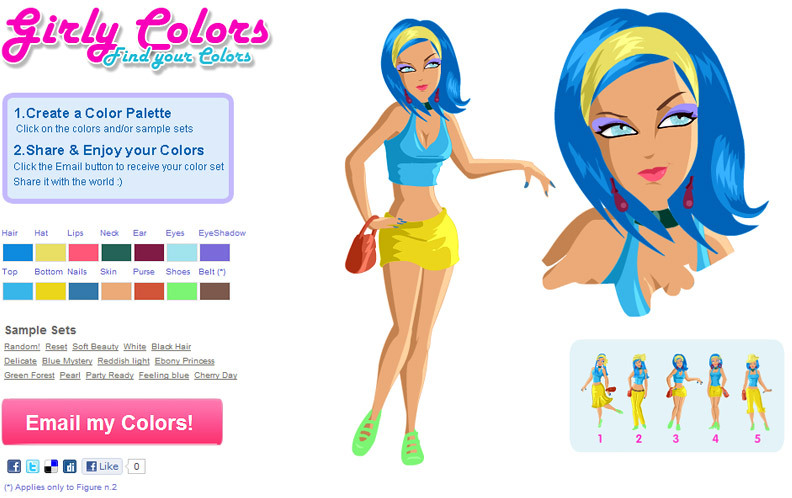 Girly Colors is a web app that is all about Color, Costume and Fashion! It’s fun and free, You don’t need to register to use it, and it helps you answer that question in a breeze! * A URL web link that you can copy & paste to any browser to reload your design and continue working with it. You can then share your design with your friends in multiple ways (Facebook, Email, etc). Finally, you can get inspired while you shop by taking the email Girly Colors sends you in your smartphone or printed on paper to your favorite clothing stores. The Email contains color swatches in big size for each of the colors and areas you have designed for the model.